After a long day at work, there's nothing quite like a hot homemade dinner. Trouble is, most people don't have someone waiting at home who's cooking for them. 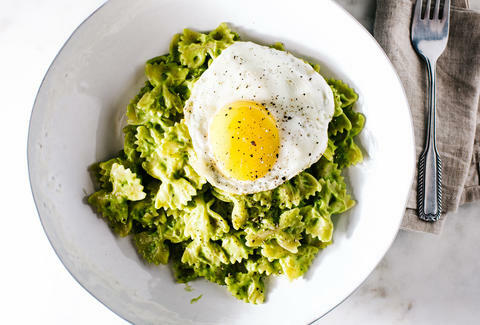 Which is why it's up to you to take care of yourself with these nine super-easy pasta dishes. Most come together as quickly as it takes to boil a pot of water, and you probably already have most of the ingredients in your pantry. 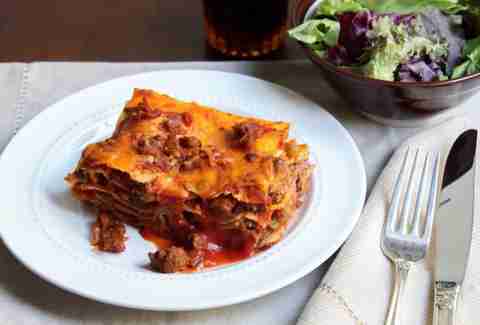 No-boil/oven-ready lasagna pasta sheets mean you don't have to cook the pasta before you build. Cook time is basically cut in half. Recipe here. 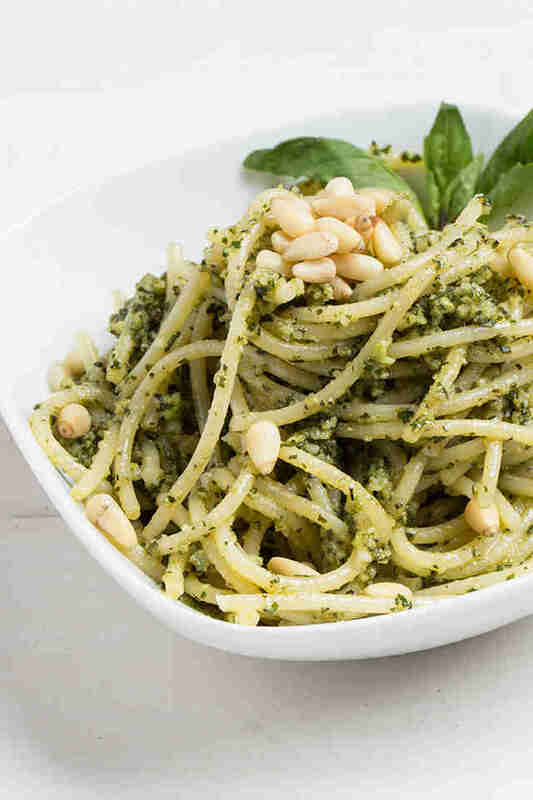 Whip up this basil pesto while your pasta cooks. You'll be eating in 10 minutes flat. Recipe here. Gouda adds a deep-and-decadent flavor, and the salty pepperoni makes it taste like pizza, which is never a bad thing. Get the recipe here. 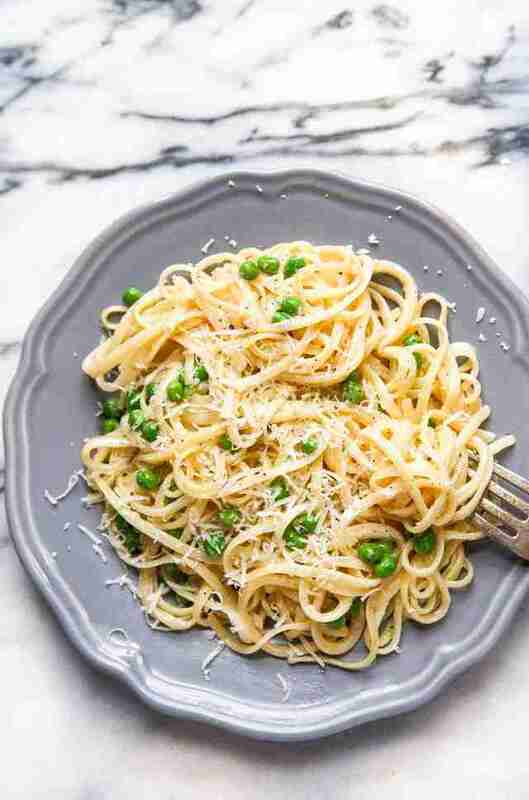 This creamy fettuccine is not meant to be made in bulk and saved for later. 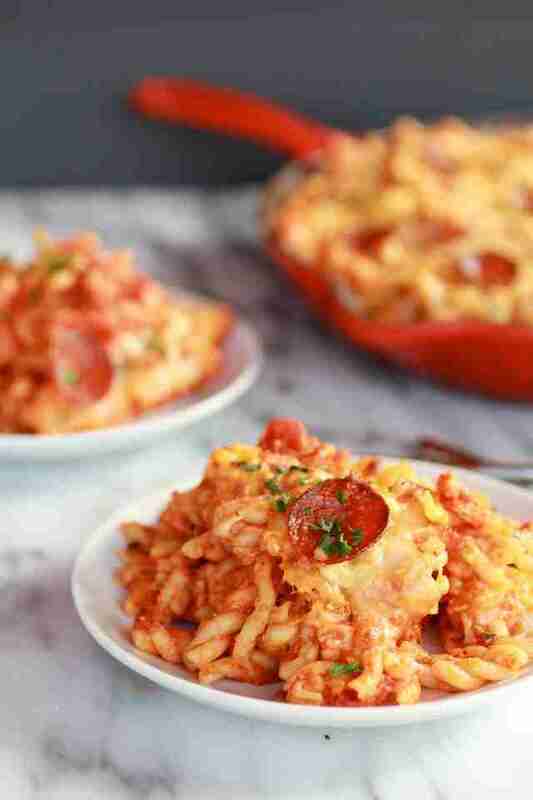 Whip it up in 10 minutes after work and eat it right away -- it's best that way, trust us. Recipe here. 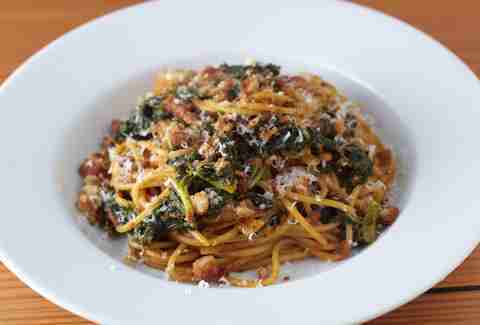 The quickest way to make any pasta healthier is to throw in some kale. That's not to say this dish is healthy, what with all that spicy chorizo, velvety butter, and chewy bread, but the vegetable makes it easier to pretend. Recipe here. 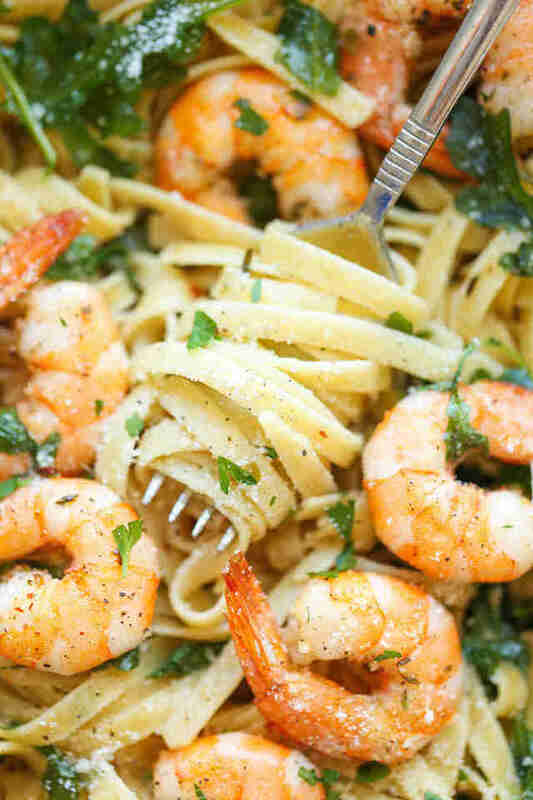 Together, butter, garlic, Parmesan, shrimp, and peppery arugula is one of the greatest ingredient combinations known to man. 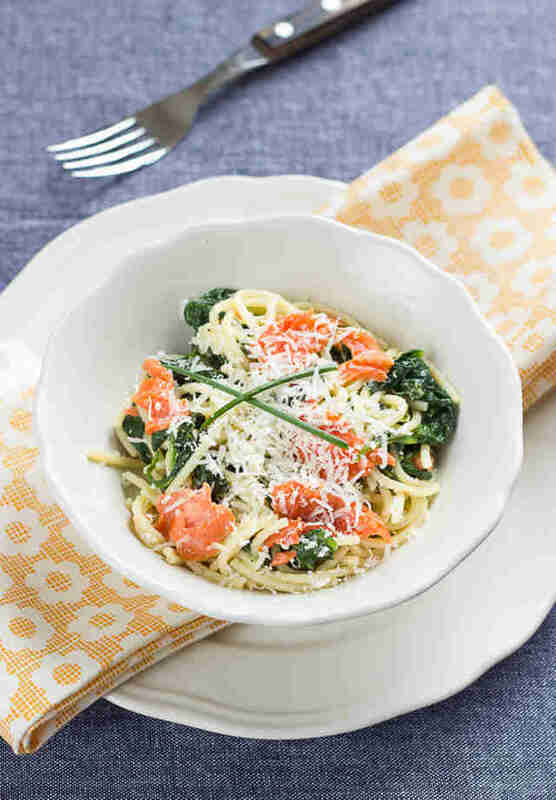 Put it all in a 20-minute pasta dish, and you've got one of the greatest weeknight dinners known to man. The crazy-quick recipe is right here. Blended avocado makes this sauce extra creamy in the same way heavy cream would, but it's far healthier. Get the recipe here. 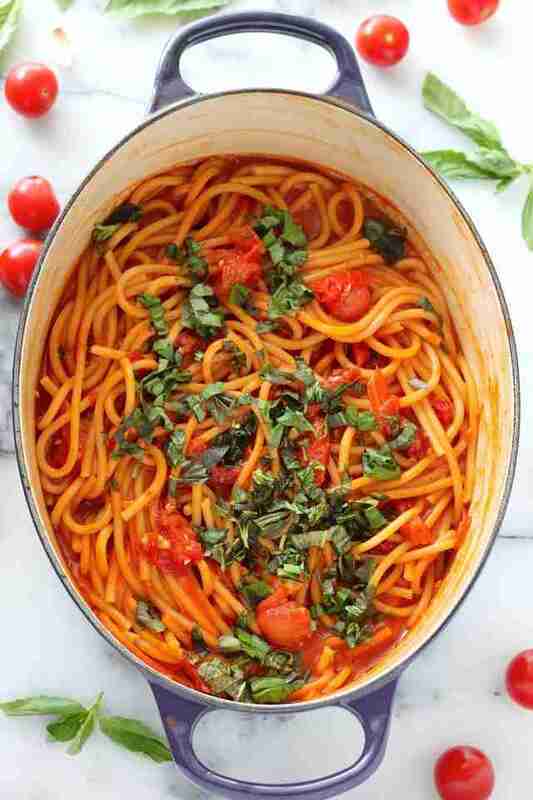 Sun-dried tomatoes and fresh cherry tomatoes over a tomato sauce base make these noodles extra flavorful. Plus, it's all done in under an hour. Get the recipe here. Healthy and ready in the time it takes to boil the pasta. This recipe hits all the marks. Perry Santanachote is Thrillist's former Recipes editor. Follow her at @perrysant.